Disruption is a word that readers of the Voyager and those familiar with our activities at Zenises may have heard us use a few times in the past. As in all editions of the Voyager, we take you on our ´Journey of Self-Disruption’ that continues to get more electrifying, the further we travel down the disruptive path. 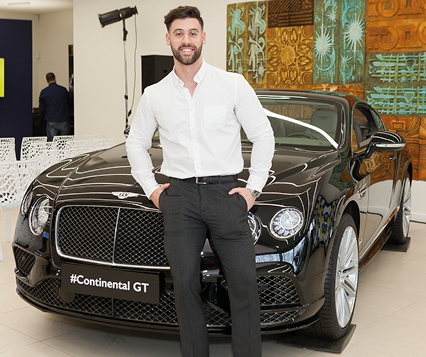 But that disruption and desire to innovate, evolve and break established within our industries is at the heart of our will to support not only our clients and partners, but encourage communities and individuals to grow, progress and realise their dreams. Therefore, in this issue our desire to support help individuals fulfil their dreams, overcome the toughest hurdles and win their battles is a core recurring theme. In the last issue we revealed that as a company Zenises had been contemplating the radical changes being undertaken in business and marketing as a whole and the breathtaking development of subscription model businesses driven by ´Millenials´ also known as ´Generation Y’’s maturing consumption habits and expectations. This contemplation provided the building blocks with which the Cartyzen concept was born, developed and finally launched. Cartyzen draws a line in the sand and provides a landmark moment for business in the tyre industry, following its inauguration as a trailblazing tyre replacement and maintenance service that functions through that aforementioned subscription model, thus supporting the end user with that security and peace of mind that we at Zenises want to provide. 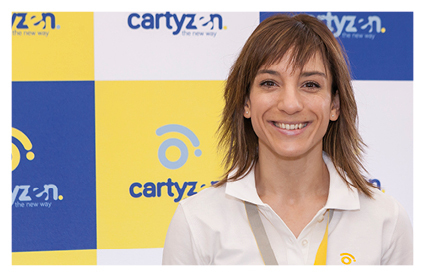 The support doesn’t stop there though for Cartyzen, as we report on our sponsorship of 4 elite Spanish athletes who match our desire for continuous improvement and innovation as they chase their own dreams of glory at Tokyo 2020. We hope to see them on top of the podium in 2-years time. This commitment to sport goes yet one step further, as the Voyager has yet more news to get you off your feet with an update for you on Club Basquet Benalmadena, who are supported by the Zenises Foundation. We love supporting our clients, individuals and communities and take huge pride in seeing them take that leap into the unknown and achieve things that are beyond their wildest dreams. That is in essence what this ‘Journey of Self-Disruption’ is all about, so strap yourselves in, because this is only the beginning. 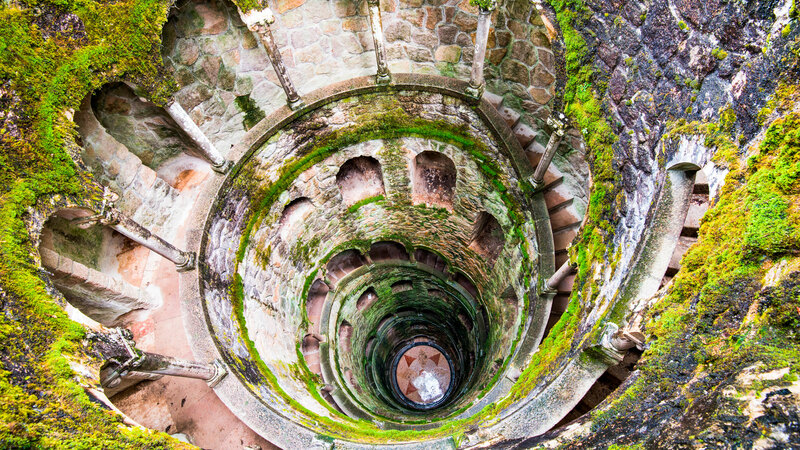 Who knows where this path is taking us? 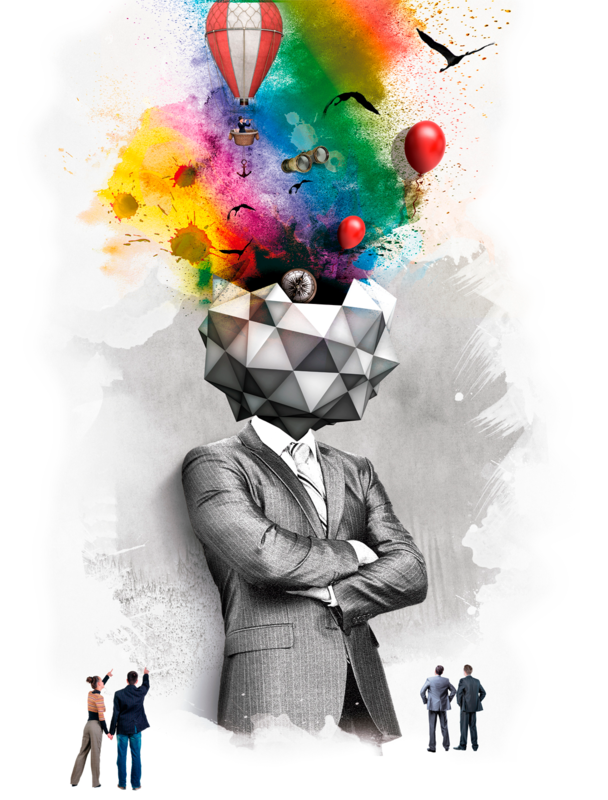 The Cartyzen approach is a new way of doing things, which therefore is emphasized further by its tagline, “the new way”. TAILORED FOR TODAY’S CONSUMER The business model of subscription services finds itself at a stage of huge unprecedented expansion. 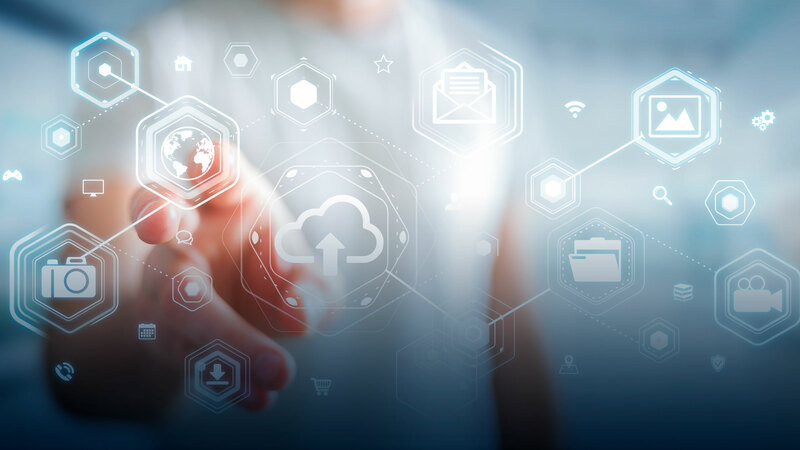 As time passes, more and more customers are utilising subscription services with the objective of improving their experience and at the same time simplifying the purchasing process. Market influences such as the ownership of assets being of a reduced importance for younger generations, the replacement of tyres often having a reduced emotional component in purchasing decisions and the numerous negative connotations that derive from the lack of knowledge of tyre brands and their related performance on the part of the user, were all considered and taken into account when the Cartyzen model was being developed. Cartyzen represents an innovative option for drivers that want to avoid serious inconvenience that habitually happen when purchasing tyres, such as elevated financial expenditure and continued costs through accidental damage or deterioration. Therefore, from 4.95 Euros per tyre per month, the client will have their tyres guaranteed, access to an extensive registered tyre shop network and telephone assistance to RACE 24 hours a day, 7 days a week, in order to manage any incident related to the contracted tyres. Cartyzen has now set into motion a new pioneering business model at a global level: a flat rate suscription for premium tyres. Through the payment of small fixed monthly fees, the user will benefit from passenger and SUV tyre replacement and maintenance services for their vehicle, guaranteeing their cover independently from the realized mileage. The Cartyzen approach is a new way of doing things, which therefore is emphasized further by its tagline, “the new way. Cartyzen functions through a subscription that protects against a plethora of tyre-related incidents such as tyre replacement and substitution, gradual wear and tear of the tread, punctures and accidental damage. 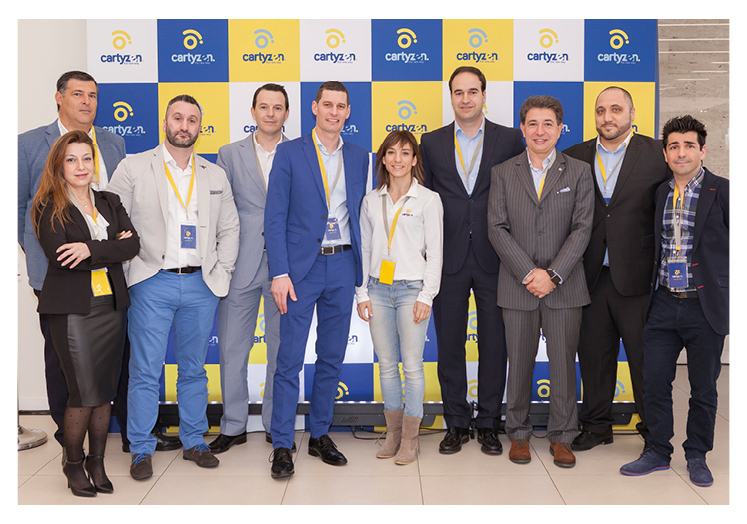 Once registered through the company’s website namely, www.cartyzen.es, the user will have direct access to the Cartyzen’s subscription services. 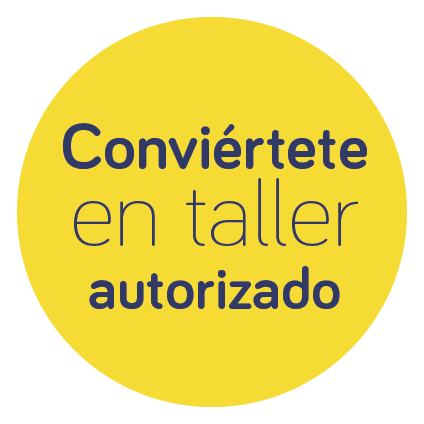 In this way, when the time comes for the user to access Cartyzen’s innovative services, they will only have to specify the size of their tyres, the tyre shop where they would like the replacement to be carried out and the preferred date for the mounting and balancing of the product. Following this, the user will receive a call to confirm their appointment. #asidezencillo Accessible through the internet, by the means of a computer, smart phones and tablets, by telephone or by visiting one of the many registered tyre shops, Cartyzen is assuring a comfortable service that is safe, practical, very simple and friendly to the user. Furthermore, the clients will be able to take advantage of loyalty programmes and special promotions whether they are designed for the individual or for the collective. 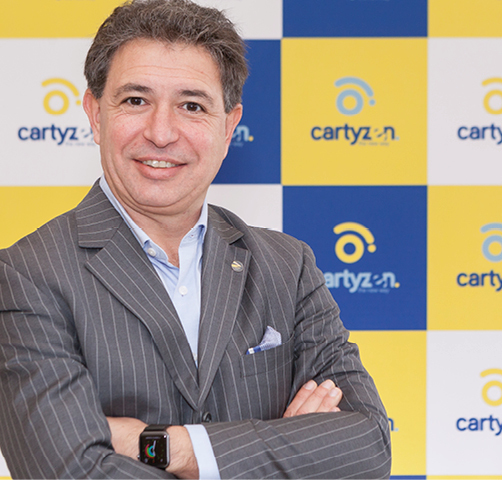 The Zenises Group, who are known globally for being one of the most innovating and disruptive in the aftermarket tyre sector, is introducing its business concept realized through the creation of Cartyzen. Cartyzen is a groundbreaking tyre replacement and maintenance service that functions on an annual subscription basis. 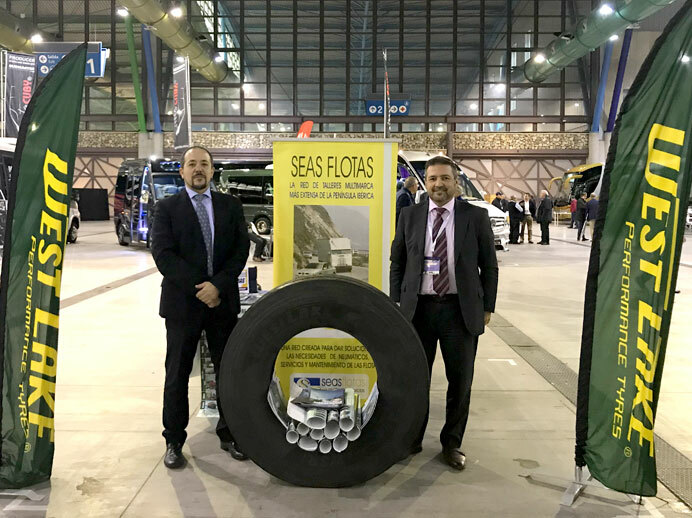 Westlake Tyres, who have been marketed across a plethora of European markets by the Zenises Group notably in Spain, were recently one of the attendees to the APETAM (Association for Haulage Operators and Agencies of Malaga) Conference. The attendance formed a key part of the group’s strategic plan that focuses closely on “strengthening the OTR, Passenger and Truck & Bus product lines” of the brand. As a part of our commitment to grass roots sport and continuing to develop links to the local communities, the Zenises Foundation has been sponsoring Club Basquet Benalmadena. Located near the city of the Malaga, the club is defined by its commitment to working hard, teamwork and encouraging fair play, which is why we are proud are Z Tyre brand logo features on their jerseys. 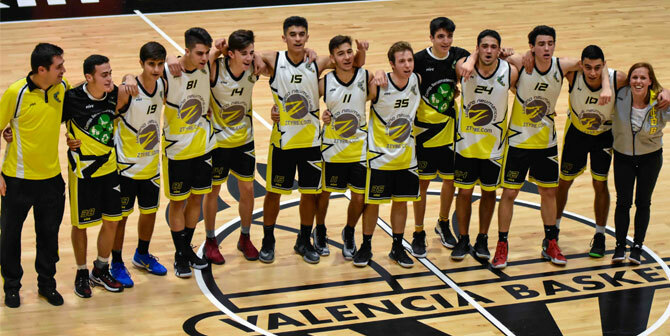 Recently, Club Basquet Benalmadena featured in the fourth annual edition of the Easter Basketball Tournament that is held in Valencia at La Alquería de Valencia Basket. Over 2,500 players participate in the tournament, which features clubs from all over the Spanish region. Club Basquet Benalmadena took 4 teams to compete in the competition in the form of 4 junior teams from the club. These teams included the Premini, Minibasket, Cadete and Junior representative teams. As always in The Voyager, we take a look at a selection of activities undertaken by the Zenises Foundation across all corners of the globe. This issue is no different, as our tour takes us to Southern Spain and the work that the foundation has been doing to support grass roots sport in the region. Strap yourselves in, as we submerge ourselves inside the world of the Club Basquet Benalmadena. I love to eat sushi in Japan, and this is one of my favourite restaurants at which to do so. What I love about this place is that this chef, Masaki Miyakawa, is a real master of his craft. He uses two different types of rice and two different types of vinegar, which is very rare for sushi chefs to do. He also uses a type of brown rice that is also quite novel, while the plates and glassware are all vintage. He has antique Baccarat for sake and Japanese artists’ handmade ceramics that date back more than 200 years. It’s a special place. What I recommend: The sashimi. All the seafood is sourced daily from Hokkaido and Tokyo’s famed Tsukiji market. 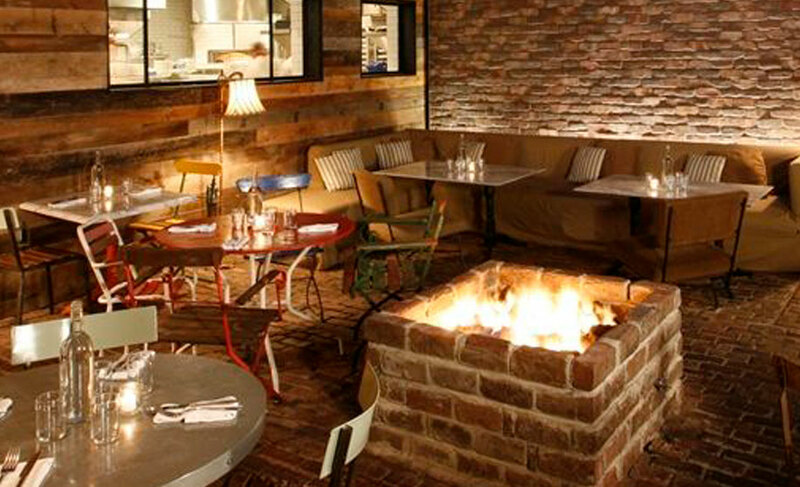 Venice is a beautiful beachside community in LA and Gjelina is a quintessential California-style restaurant. I really love it. All their ingredients come from the farmer’s market. They have an amazing salad with kale and ricotta salata that’s just off the charts, and the butterscotch pudding for dessert is great. What I recommend: The guanciale pizza with green olive and a touch of Fresno chili. This restaurant is absolutely stunning – it’s literally built into the hill and is set underneath the ground. There’s no mobile phone service, it’s lit by candles, you’re in your own little alcove, and the entire menu is just beef. It’s all about the ageing they do on the oxen, then they grill it over a wood fire. It’s truly one of the most magical places I’ve ever been, and the food is off the charts. 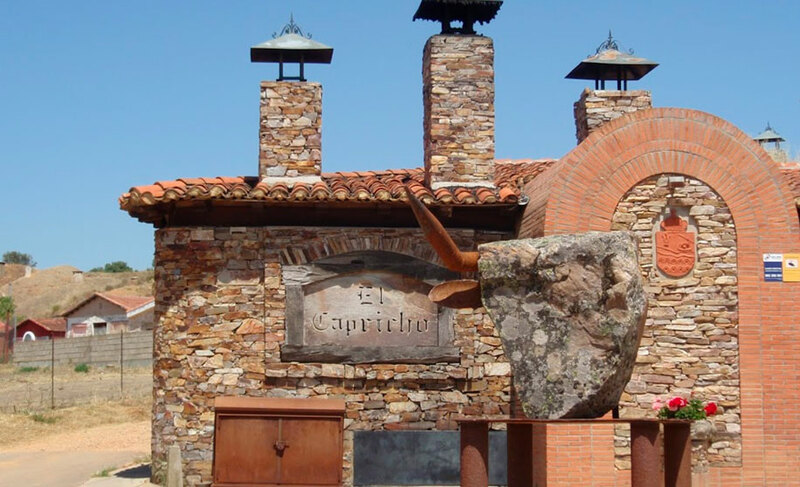 What I recommend: The carpaccio and the grilled beef is amazing. David Thompson is a British chef who is making some of the best Thai food I’ve ever had in my life at Nahm. He dives deep into ancient traditional cooking, and has really mastered it. He gives the food his own twist, but it’s not one that makes it a new style – it’s straight up Thai and true to the culture. What I recommend: Smoky beef curry with chili leaves. 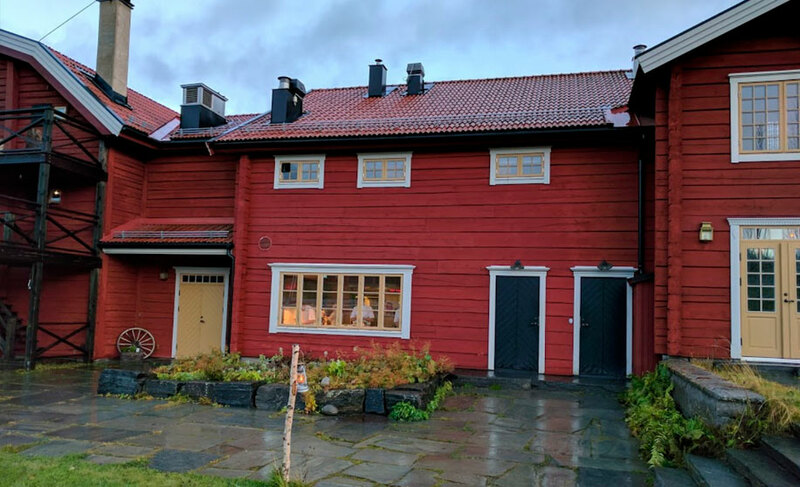 Fäviken in Jarpen, Sweden where Chef Magnus Nilsson serves Nordic cuisine. He only cooks during a certain time of the year, and he sources local ingredients in the wilderness. Our new Executive Director talks about his favourite Entertaiment and Dining spots in the world! Born in Mauritius, raised in the Seychelles and trained in the high-fashion scenes of England, France and Italy, local designer Karine Dupouy runs her own Kankan label from this flagship boutique in Victoria’s central business district. Her style tends toward a blend of quality and comfort, producing elegant women’s clothing that looks and feels great on holiday. 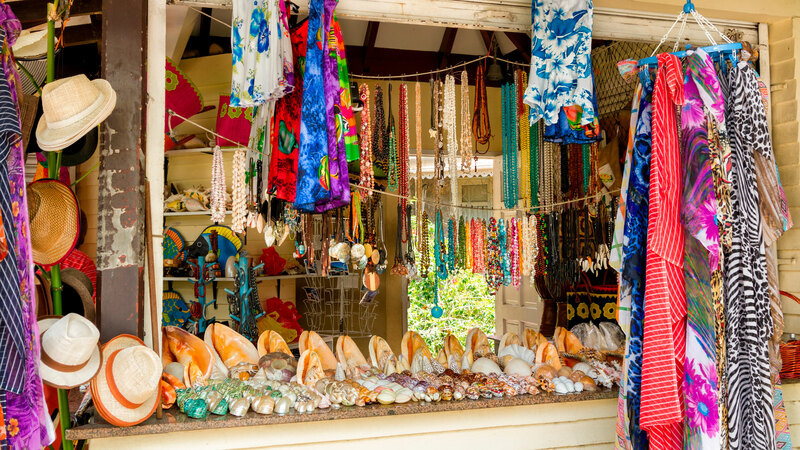 An eye-popping carnival of brightly coloured fruits and fabrics, powerfully perfumed by native herbs and spices, this vibrant local institution lets you mix with friendly islanders as you browse for sarongs, coconut oil, tamarind, and other Seychelles souvenirs. Saturday is the busiest, most festive time to shop, and it’s best to go early in the morning. Occupying one of the quieter spots on Mahe’s spectacular south-west coast, this kilometre-long stretch of white sand is home to a single property – The Banyan Tree Resort. Well-known and famously beautiful, the beach still promises a sense of discovery, as you follow a trail through the jungle to emerge on the edge of the sparkling Indian Ocean. This archipelago has a storied past that goes back much further than the first British and French explorers. 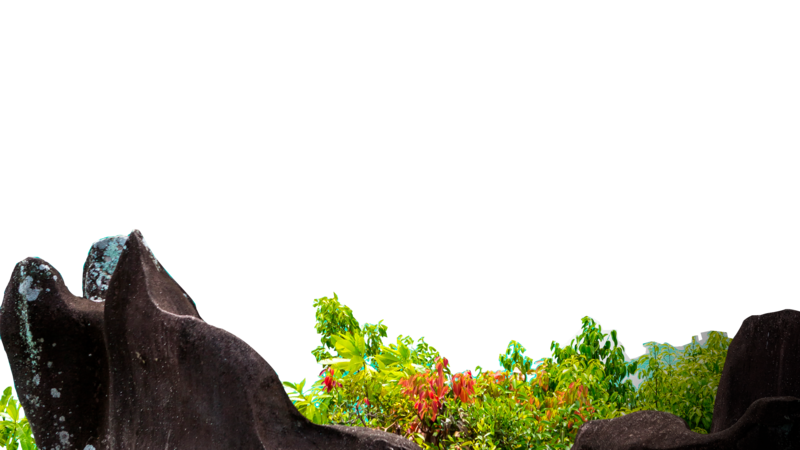 Here in the heart of the capital you’ll be taken right back to the beginning through maps and exhibits that outline the origins of the Seychelles’ unique geology and abundance of mysterious plants and animals. The endangered jellyfish tree, the carnivorous pitcher plant, and other natural wonders of the Seychelles grow inside this century-old national monument. Just 10 minutes south of Victoria it’s a whole other world, rich in fruits and spices and populated by native bats and tortoises. Tucked into an idyllic bay on the east coast of the island in Anse aux Pins is a craft village with a cluster of Creole-style huts that serve as showcases and selling points for local artisans. These include the merchants of Maison du Coco, well-known for crafting unique gifts from coconuts, as well as expert makers of jewellery and batik clothing. Situated on the wrap-around balcony of Pineapple Boutique, Veranda Café is run two British expats who have lived in the Seychelles for years. Go here for their delicious brownies and carrot cake (the salads, pastas and freshly squeezed juices are good, too). Sublimely comfortable home to the Constance Ephelia resort, this horseshoe-shaped slice of paradise is part of a protected marine reserve. This means an offshore galaxy of hyper-colourful fish and coral, perfect for swimming, snorkelling, or viewing through the floor of a glass-bottomed boat. 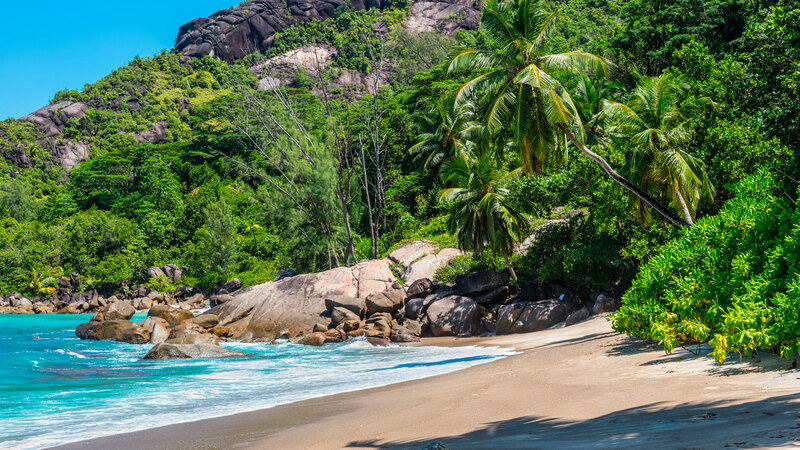 Landing at Seychelles International Airport, on the nation’s largest island, Mahe, makes for one of the great arrivals in modern leisure travel. The descent over the luminous Indian Ocean, the sight of white-sand beaches and deep green tropical forest, the scent of vanilla and coconut when the plane door opens. Capital city Victoria blends the bustling feel of a trading post with the orderly charm of a former colony – brightly-coloured fruit and fish markets amid courthouses and clock towers. Less-populated corners demand and reward exploration too, from national parks filled with strange, beautiful flora to secluded coves that once lured explorers and pirates. There’s treasure all over this island. 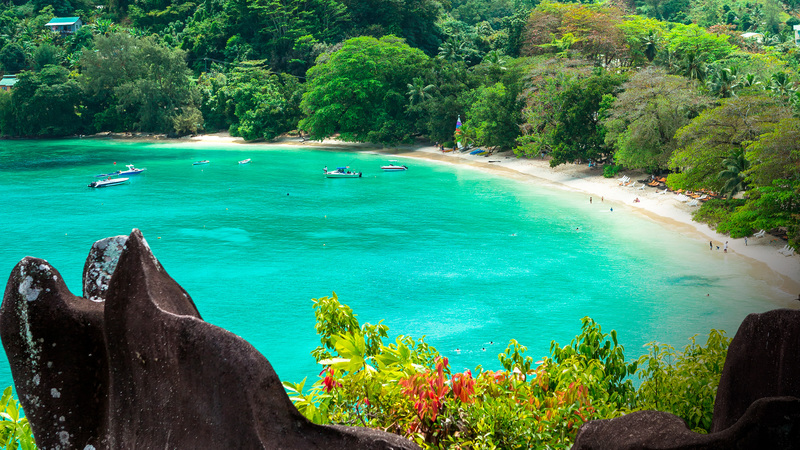 Next to Kempinski Seychelles Resort, you’ll come across this exquisite half-moon bay engulfed by lush vegetation. Despite being a public beach, it’s rarely crowded and in addition to its turquoise waters and striking granite boulders it offers many shady spots. Set sail from Victoria harbour in a semi-submersible boat that will take you below the waves to explore the coral world below. 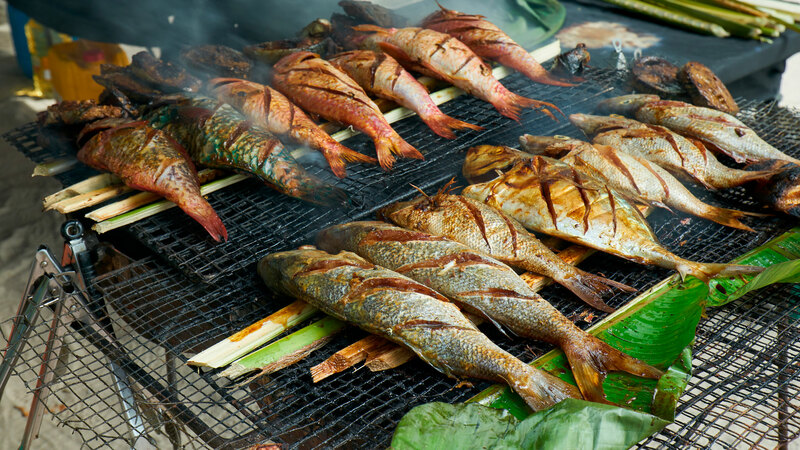 You’ll also get a chance to feed the fish and snorkel among them at your leisure. If tasty Thai cuisine and gorgeous sea views of Anse Intendance tickle your fancy then Banyan Tree Resort’s Saffron is where to go. 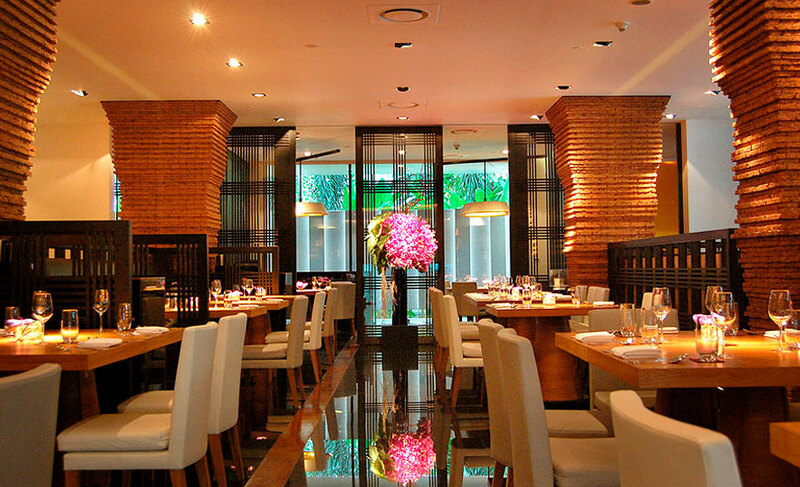 Chefs at this award-winning restaurant are known for their mouth-watering traditional dishes. 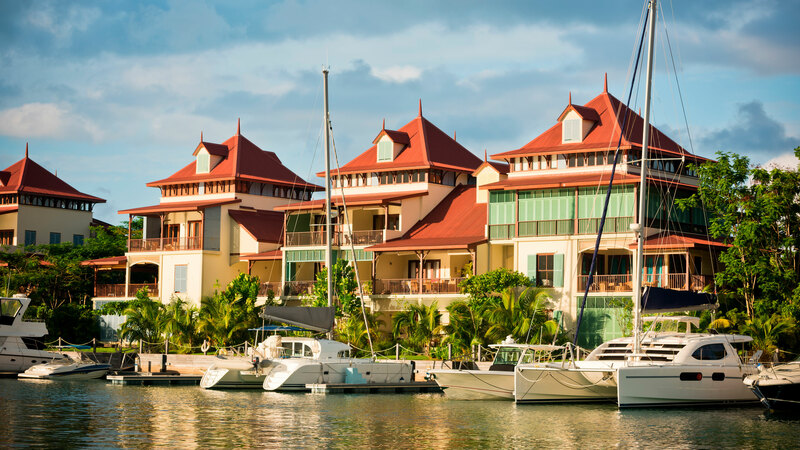 Housed in a historic colonial mansion, Marie Antoinette is a popular dining spot for both Seychellois and travellers. Originally opened in the 70s, it’s one of the oldest and most famous restaurants on Mahe and offers rustic charm and authentic local dishes. The freshly caught seafood is sumptuous and daring diners should try the fruit bat curry – just make sure you request it one day in advance. 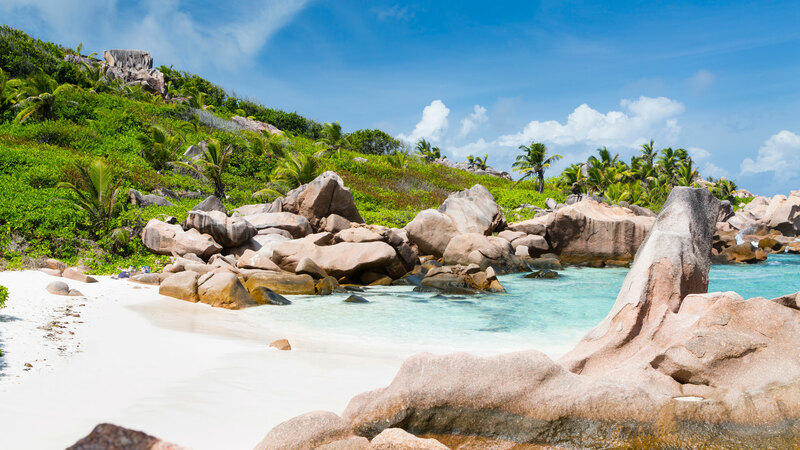 Mahé, of course, is just one of more than 100 islands in the Seychelles archipelago, and various tour packages can whisk you to neighbouring enclaves by boat or helicopter. Praslin is home to the otherworldly UNESCO World Heritage site at Vallee de Mai Nature Reserve, while nearby La Digue is best explored in a walking tour with Robert Agnes of Sunny Trail Guide (sunnytrailguide.net), who will lead you to remote and pristine beaches. 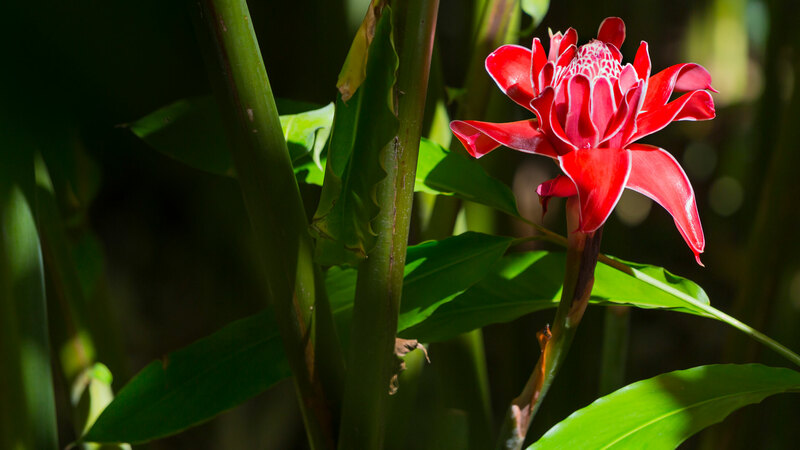 You can also visit the island’s popular Vanilla Plantation and Coconut Oil Factory. 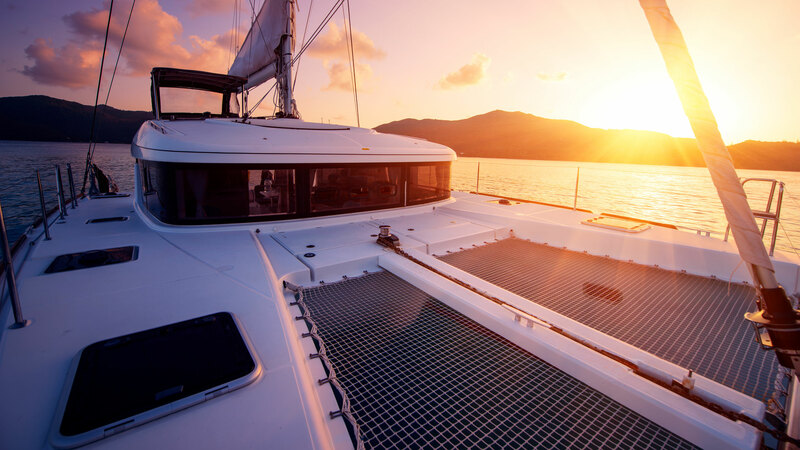 To get the best of the island’s gorgeous surrounding waters – teeming with marine life and blanketed by coral reefs – charter a boat out for the day (or night) and spend some private time swimming, snorkelling, or just floating out there on the ocean. Locals recommend that you leave early to see how tea is made at this working facility on the lush slopes of Morne Blanc, which is best appreciated in the cool morning mist. There you’ll be taken through the whole process, from drying to packing – and to drinking, of course. This is already in our culture and our DNA. The people that tend to join the Zenises family tend to be out of the box thinkers and they attract other people who are of the same ilk. But why even have a box! All the members of the family are encouraged to aim higher and higher. But the best way I see to get out of the box is to be out there on the front line and speak with the customers. They are the ones that will give you the ideas. Sometimes you don’t need to think out of the box but merely listen out of the box. We are a family! We are a little crazy! But aren’t all families a little crazy? We have each other’s back! And that is critical! I think that whenever people join us from other large multinationals this is what takes them the most time to get used to but also what they love. People are focused on building their businesses and getting on with their lives! No BS! To use an already over-used idiom, that’s very out the box thinking. How do you encourage that within the organization? Your strategy is to go digital, but as you’ve said there is constant disruption. How do you plan for the future, when there are likely products and business models that haven’t even been invented yet? How do you plan for uncertain disruption? There are all these statistics out there that in the next 20 years or so 40% or more of the jobs that will exist are not jobs that exist today. How do you prepare for that future? How do we prepare our children for that future? Well I think that the best way to prepare is simple! In the case of your children don’t focus only on skills but focus on growing their mind and their curiosity. In the case of the company you just have to hire the best people and trust that when things change that they will be able to adapt ahead of the curve. Now that is not to say that you don’t invest in training them. 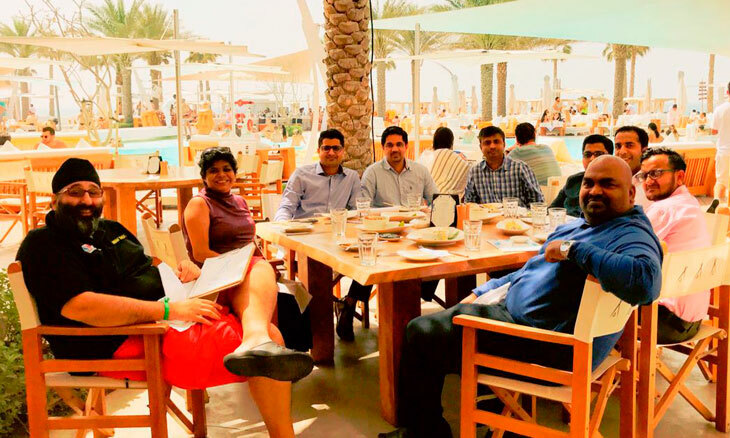 Our senior team go to Singularity University in Silicon Valley to ensure that they are thinking on a disruptive path. We also keep our ear close to the ground to see what is happening in the startup community. We are very focused on Blockchain and how that will shape our industry and have invested in several Blockchain startups including those that affect the shipping industry! Don’t forget we ship tens of thousands of containers across the world and that is also a very archaic industry! Managing time is all about being PRESENT. If I am with my family and spend the time checking email then I might as well not be there! So I make it a conscious decision to switch off all electronic communication and be PRESENT with my family and focus on them in family time. Even though, with all the travel, it becomes difficult to always be there but when I am there, I am actually there! Most importantly I don’t micromanage. We have the best people that work within the Zenises family! We hire the best – so we let them get on with it! 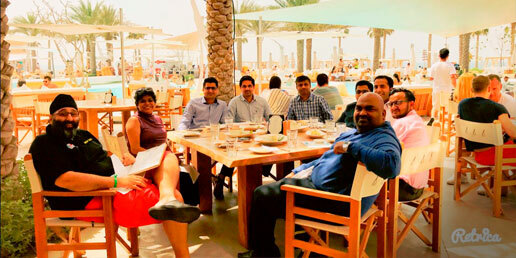 This saves enormous time and energy and frankly allows me to learn from them and their vast experience and talents. How do you manage such a large business, and also make time for that balance? 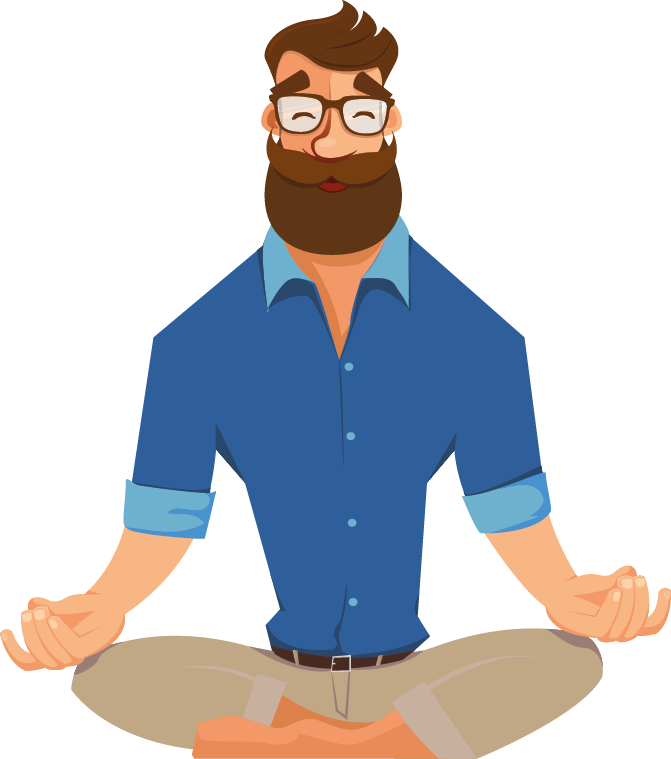 What would you say to brand new employee at Zenises? How would you describe the culture? For people outside the region how did the company first get started? 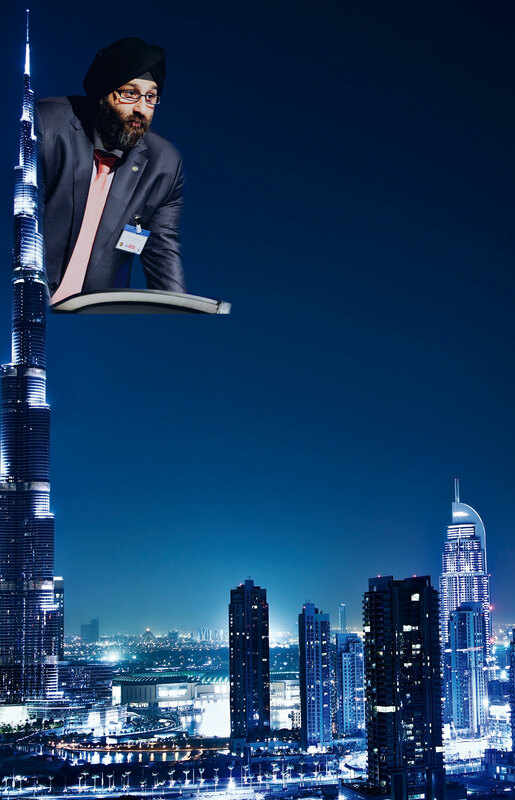 Absolutely – if you are not going digital today as a CEO then you seriously need to rethink! Digital is the future! But it is not the only future. Tyres, unlike books or music, are a product that can never be fully digitized. As such there will always be an offline infrastructure required to manufacture the tyres, distribute them and finally fit them. 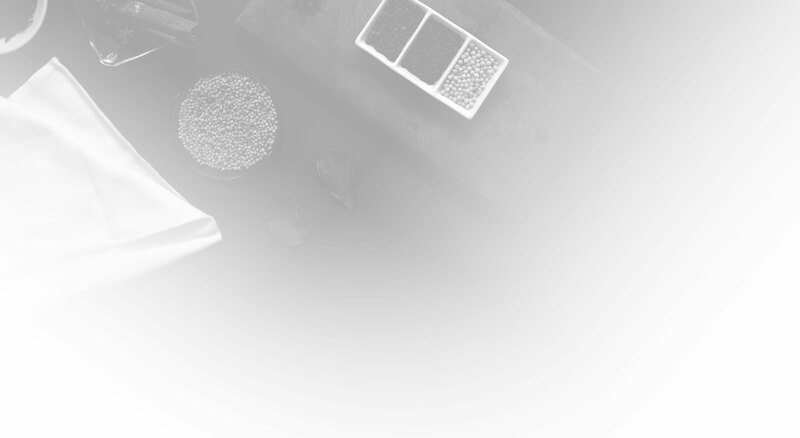 We aim at using technological advances to improve the processes in each of the areas and create a full vertically integrated chain directly from our factory to the consumer where we find efficiencies in each part of the value chain. This will ultimately allow us to provide value to the consumer. This is also the idea behind Cartyzen. It is the first fully integrated F2C subscription provider in the industry. But we have an existing customer base that has been very good to us over the last many years of doing business in Spain. As such we have new and innovative ways of getting them involved in this digital transformation as well. 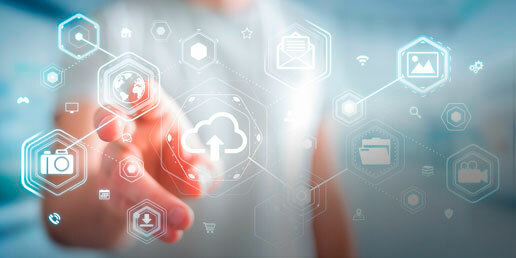 We are currently working on connecting ERPs of our customers to provide them more business as well. 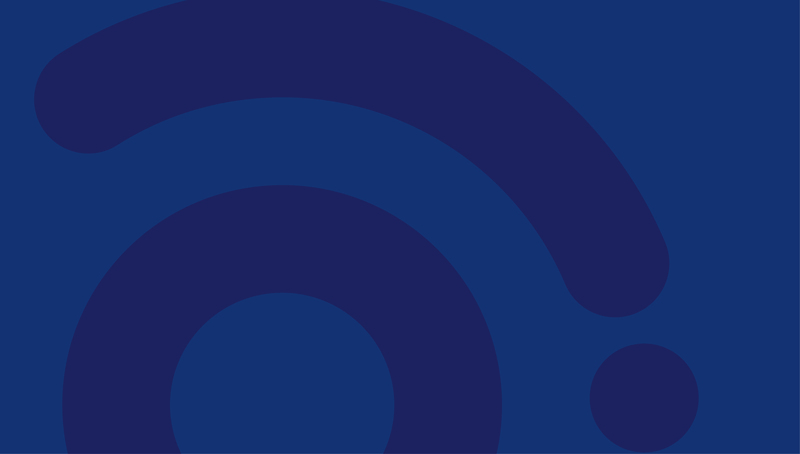 Over the last twelve months, Zenises has put a lot of resources into digital. There’s an entirely new business CARTYZEN, for example. Is that how you see the company growing over the next five years? 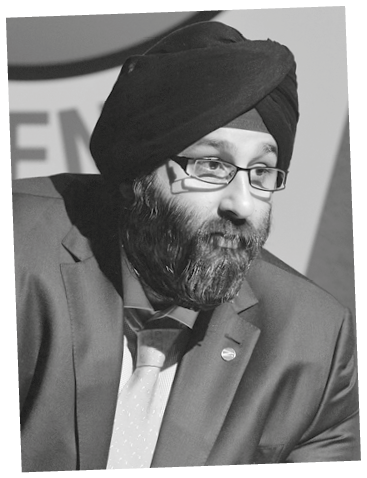 On the back of a successful expansion strategy that turned Zenises into a global player in the tyre industry, its CEO Harjeev Kandhari isn’t resting on his laurels. Instead he plans on disrupting himself, and the company, over and over again. Europneus met with Harjeev on a recent trip to Madrid to find out more about this exciting entrepreneur. Time with my family. I travel a lot which involves a huge sacrifice that my family also makes on my behalf! Being there for them is why you do it all in the first place! So that for me is life’s ultimate luxury! So if something were to happen to the business. If it all disappeared overnight, what would be your backup plan? What would you be doing if you weren’t at Zenises? What’s the biggest luxury in your life? 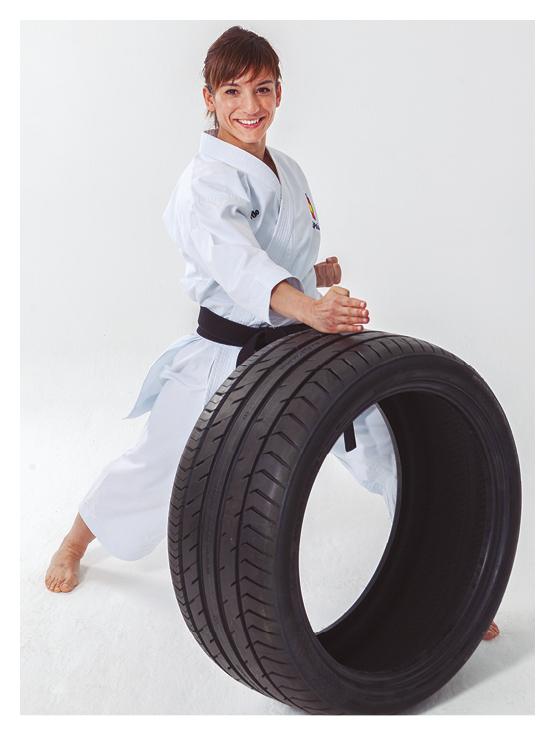 We have been in the tyre business for over four generations. If you cut me you get rubber flowing out – not blood!! Being from the industry we know that our industry is old and ripe for disruption. We started Zenises in 2015 to do things differently. We wanted to create a vehicle to enable disruption to make our ‘old’ industry ‘young’ again. God gave you two ears and one mouth for a reason. Listen more and speak less. There are a lot of people who know more than you and it is great opportunity to learn from them. But once you have heard everybody then it is your job as a leader to ‘call the play’. Here you need to be swift and decisive. Finally I would tell them also to remember that real leaders eat last. Always protect your team and they will take a bullet for you. Disruption is happening every day around us! We think that we are disrupting the industry but there are startups out there that will disrupt the disruptors like us. Whilst that is good for the overall industry that is perhaps not the best for our bottom line. 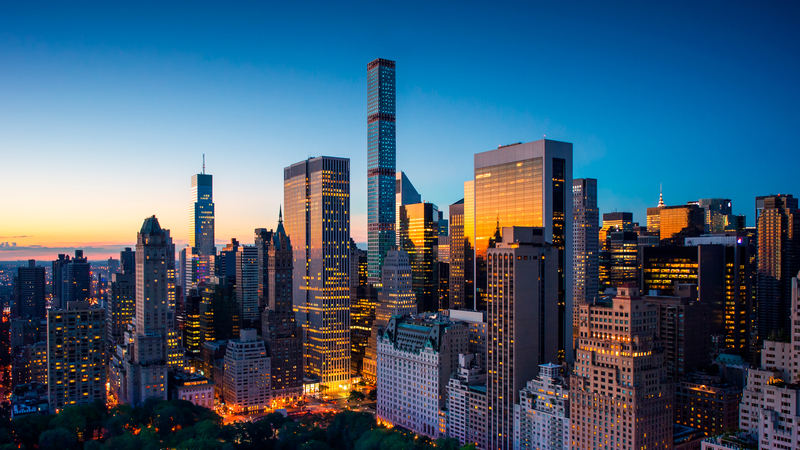 So as I am also Chairman of Walpole Capital – a venture capital fund focused on disruptive startups out of London – I get to see what is happening on ground zero. I get see proposals from hundreds of startups every year and if we see something promising we can either invest in it or acquire it depending on what is best for the business. Decisions need to be made fast and from the “gut”! That does not mean that you don’t analyse or crunch the numbers. But ultimately we don’t want any ‘analysis paralyses’ in the company. We have enough people within the family that understand the culture of the business and have been with us a long time! If they all think it is a good idea then you trust them and go with it! My Zenises family and I built the Zenises business from the ground up! If I was not at Zenises I would be building up another Zenises somewhere. In terms of back up plans if it all disappeared over night that means we would just build it again. We have done it a few times from nothing to a significant business. We love what we do so we would just do it again and again if necessary! Although I think that we would learn from it each time and do it better and better each time! What’s the biggest challenge you are facing with regards to that? How do you mitigate it? This sort of strategy requires big, over-arching decisions. How do you make those types of decisions within the company? This five-star hotel epitomizes why this area of New York City is now its coolest neighborhood. Home to the first CUT by Wolfgang Puck, a go-to spot for drinks just as much as for its sublime steaks, the property boasts impeccable interior design and a premier location occupying the first 24 floors of one of the city’s tallest residential towers – that puts you at the heart of the action. 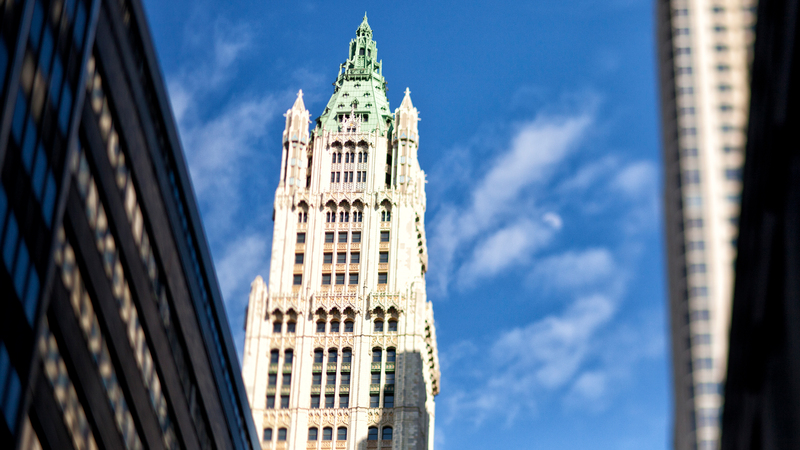 Step out of the Four Seasons Hotel New York Downtown and head to your left and you’ll swiftly take in the sight of the neo-Gothic style Woolworth Building, an early skyscraper and an enduring symbol of lofty ambition on the city’s skyline. Turn right and you’ll arrive at the centerpiece of a remarkable transportation hub. Oculus, designed to resemble a bird in flight. It stands in the shadow of One World Trade Center. 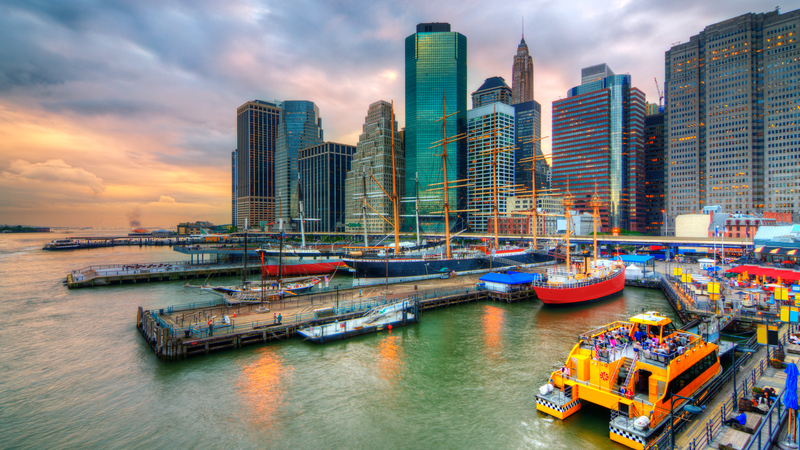 Downtown is where New York’s past meets its present, and this is no more apparent than in its atmospheric Seaport District. 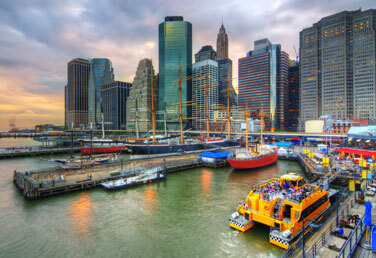 Its cobbled streets once served the ships that sailed in and out of New York, but fast forward to modern Manhattan and they’re about to be home to one of NYC’s most dynamics spots, with the likes of Jean George. Momofuku and 10 Corso Cormo moving in. Complete your tour at the Schiffbau, a ten-minute stroll from Im Viadukt. 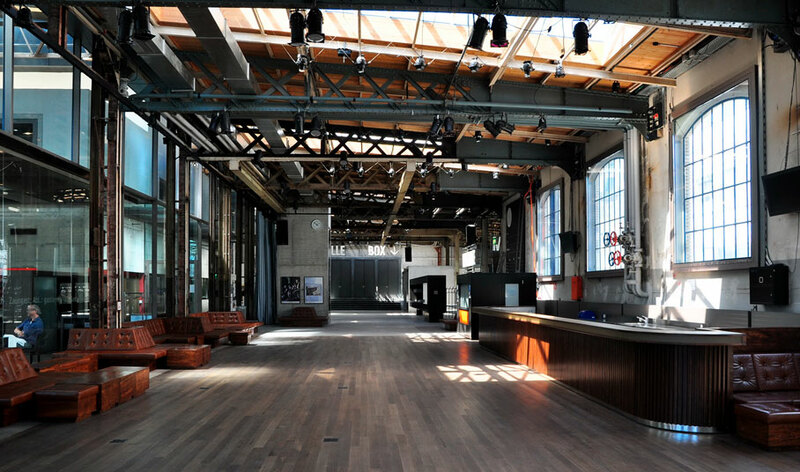 Once used for shipbuilding, this imposing brick structure has been turned into a theatre with three stages (visit schauspielhaus.ch/en/ for more information); there is also a jazz club and restaurant La Salle. Set to the left of the great entrance hall, the restaurant is an ideal place to come for lunch or dinner, either with clients (it’s popular with professionals) or a companion for something less formal. The modern cuisine takes influences from French and Italian cooking with dishes such as veal cutlet with herb butter, horse fillet with garlic, or ravioli of the day. 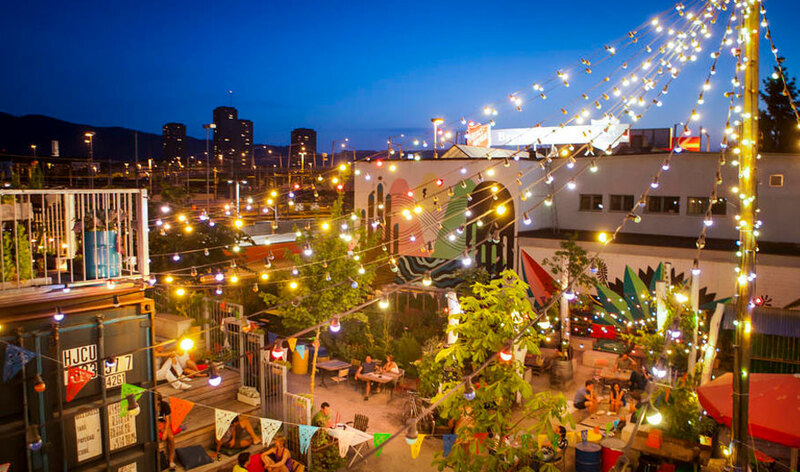 Next door to the Freitag store is fiveyear-old Frau Gerolds Garten, a beer garden strung with lights. 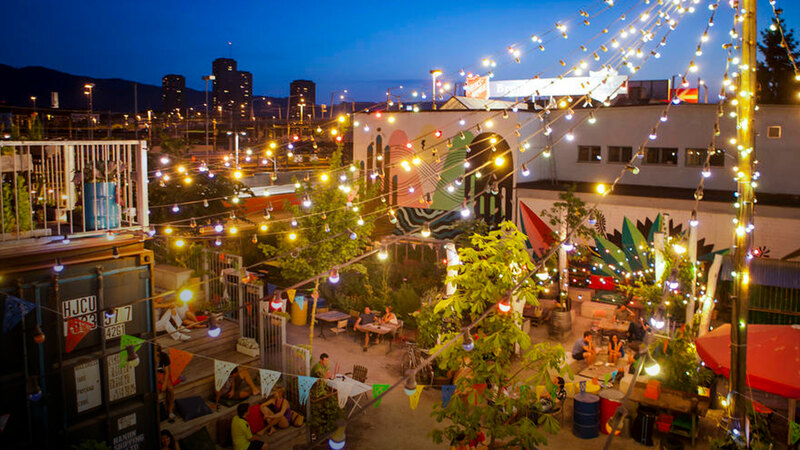 During the warmer months between April and September, enjoy gravel walkways, trees, potted plants and herbs, murals on walls, bars, food stalls and some quirky outdoor sculpture. Head up to the terrace (again built out of shipping containers), which is a perfect vantage point for trainspotting and order a cold brew. If you come in winter (October to March), then it will probably be too chilly to sit outside; in which case, head for the giant wooden yurt in the middle. Inside is a cosy restaurant furnished with throws and cushions; if hungry, order the fondue. 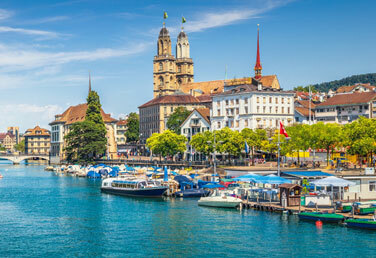 Begin your four hour walking tour of Zurich West in the former Industriequartier at the mirrored 36-storey Prime Tower, which was the tallest building in Switzerland until 2015 when the Roche Tower was unveiled in Basel. For visiting business people this may well be a venue they find themselves having meetings in. 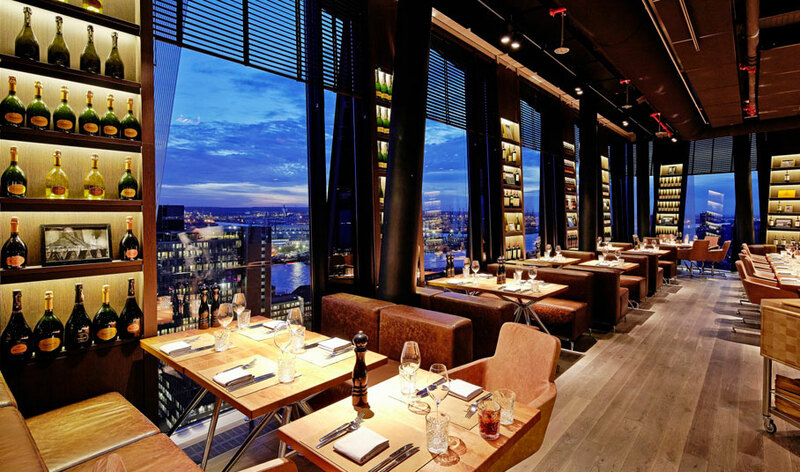 Take the lift to the 35th floor and you will find the Clouds Kitchen, a restaurant, bistro and bar. There’s also a smokers’ lounge where you can enjoy a cigar. 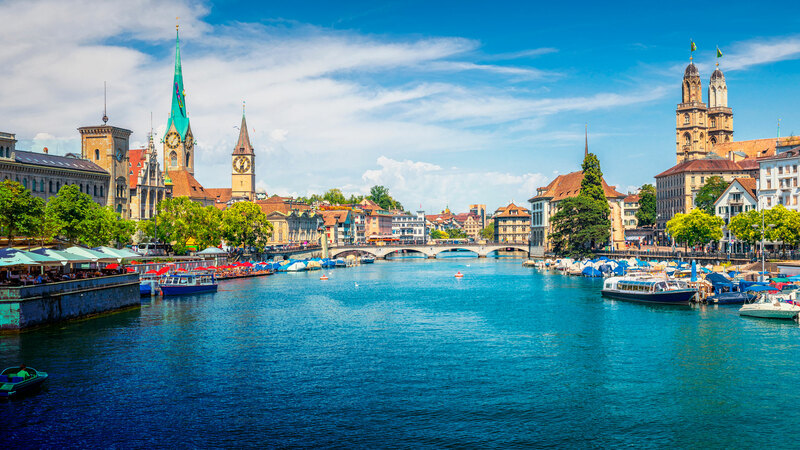 Whatever time of day and night you visit, the views are impressive, and give you a great opportunity to see Zurich West and the train lines that run alongside up to the main Hauptbahnhof station. Come for a coffee or a cocktail. 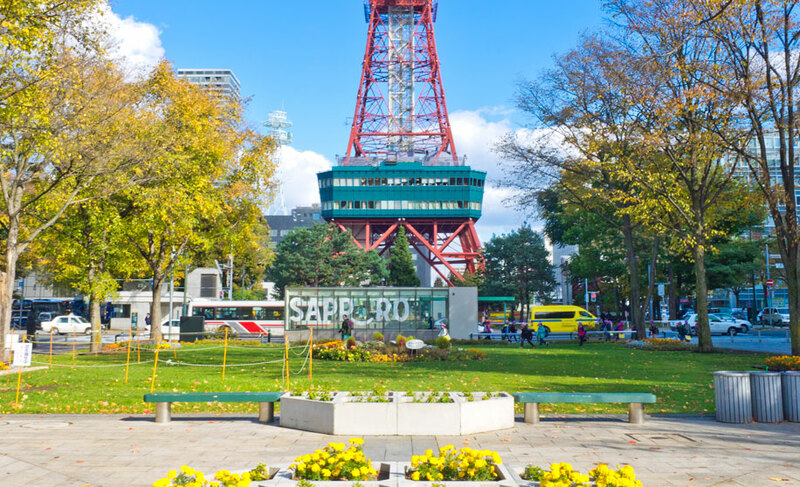 Famous for banking and frequently top-ranked for quality of life, this cultural, compact city is also a pleasure for Leisure. Cross the road (Hardbrucke) and walk a short way down Geroldstrasse to another, smaller, tower, this time built out of colourful shipping containers stacked on top of one another. 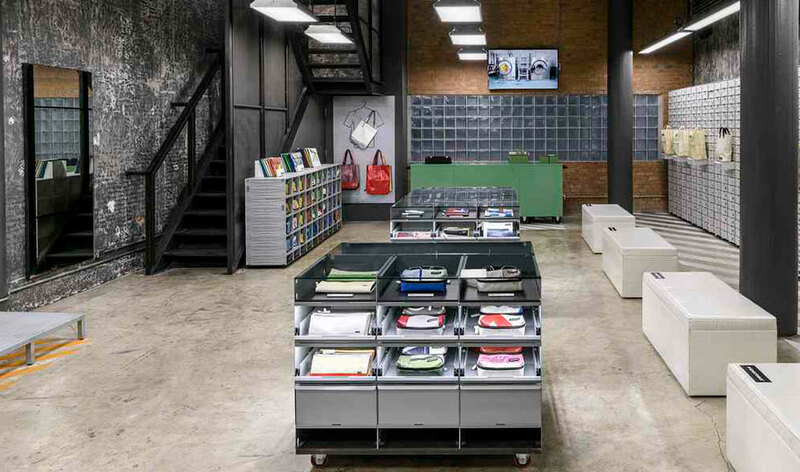 This unusual construction houses the four-floor Freitag store, a brand that has carved a niche in “upcycling” old truck tarpaulins and turning them into one-of-a-kind, highly durable bags and wallets. The concept was launched in 1993 and has since been so successful that the homegrown Swiss company now has 18 outlets around the world, as well as 450 resellers. The Zurich West flagship store is well worth a visit, and is a good place to buy a souvenir. It’s possible to apply for a tour of the factory in the Noerd industrial complex 6km away. Open Mon-Fri 10.30am-7pm, Sat 10am-6pm. 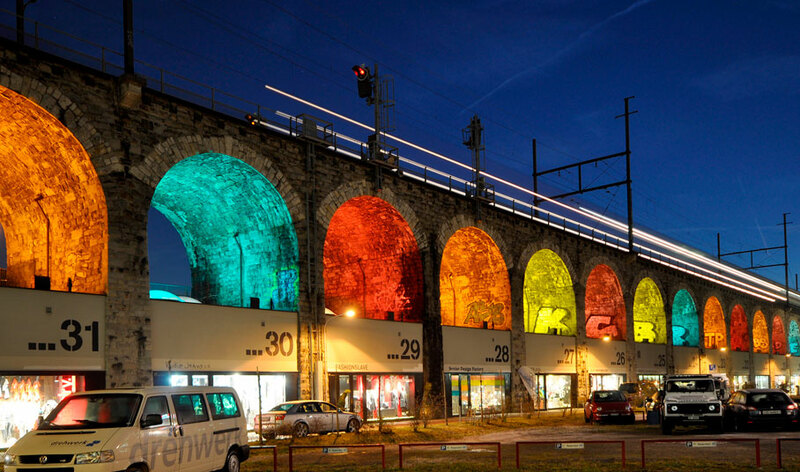 At the heart of Zurich West is Im Viadukt, a 500-metre-long warehouse that sits beneath the arches of a 19th-century railway viaduct. 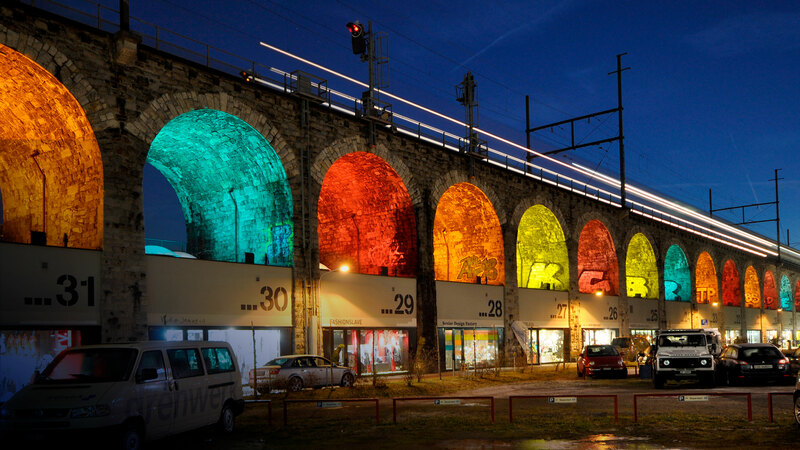 Under every arch (there are 36 in total) is a different boutique, interior design store, cafe or concept shop, on both the Viaduktstrasse side and the other side where there is a park. Only a couple of minutes’ walk from Frau Gerolds Garten, it’s an interesting place to browse ateliers such as Timetunnel Living, Klangwandel, Kitchener Plus, Brankob and Street Files. These brands sell everything from stylish trainers, watches and jeans to hand-woven throws and headphones. There’s also the cavernous Markthalle, stocked with sausages, deli goods, bread, pastries, flowers and vegetables. Many of us dream of retiring overseas. Most of us are looking for a quality-of-life upgrade: a warmer climate, a more laid-back pace, the stimulation of a different culture. But it’s also worth considering the less romantic aspects, such as how much further your pension could go in certain parts of the world. There are plenty of countries keen to appeal to wealthy retirees, or that simply have tax regimes that allow individuals to keep (and thus spend) more of the income generated from their pension pots. Bear in mind that your individual tax situation will be affected by many factors that cannot be detailed here. Rules are subject to change at short notice (and Brexit may complicate matters for British readers). 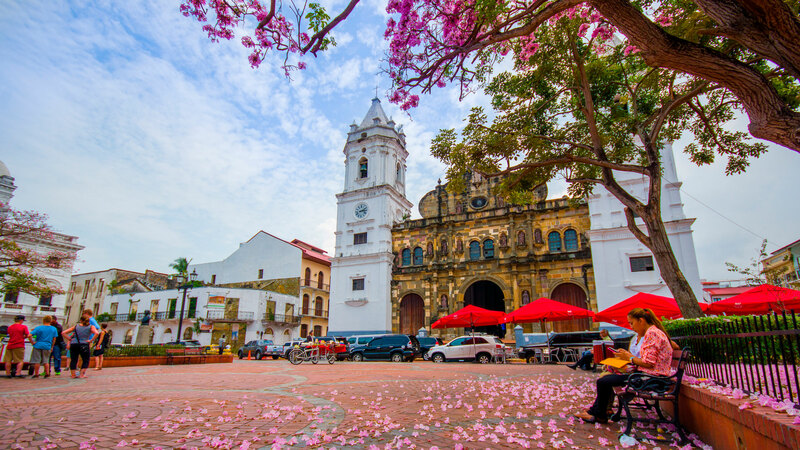 For those considering destinations beyond Europe, Panama is regularly voted among the best countries in the world for foreign retirees. The healthcare system is well-regarded, the cost of living relatively low, and the currency – the Panamanian Balboa – is pegged to the US dollar, so while there is still risk for those not earning in US dollars, at least it’s a currency you’ll be familiar with. The Central American nation offers a Pensionado scheme that covers all older residents, whether expats or locals. This gives access to a range of discounts on everything from energy bills to flights and even hotel rates, although judging by the comments of various expats, some of these discounts are more genuine than others. 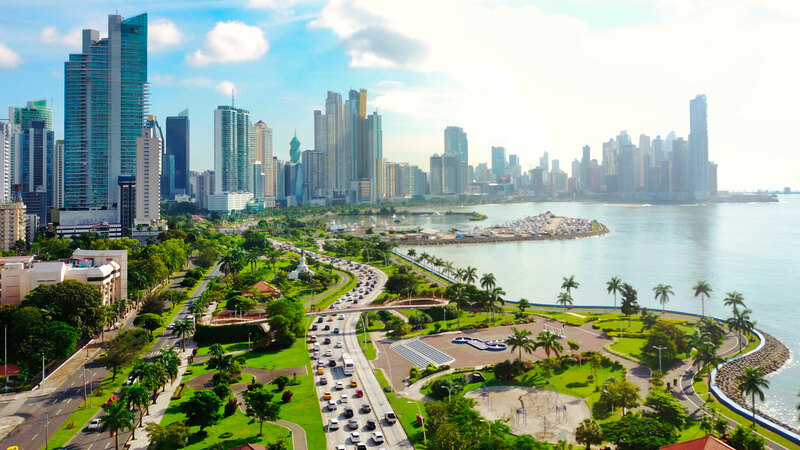 What is true is that those wishing to retire to Panama can do so fairly simply – to qualify for the Pensionado Visa, you just have to prove a lifetime monthly income equivalent to US$1,000 (or US$750, if you buy a property worth at least US$100,000), and spouses can combine incomes to meet the requirements when applying. This will also entitle you to a one-off exemption on import duties on up to US$10,000-worth of household goods (cutting moving costs). 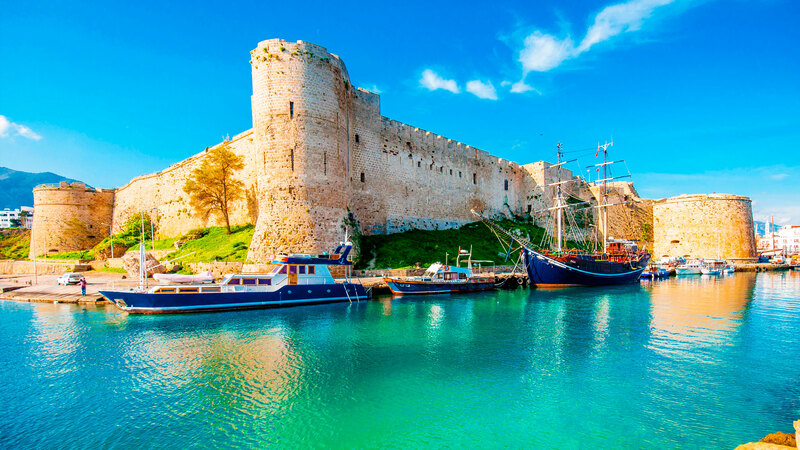 Similarly to Portugal, Cyprus boasts a wonderful climate and great food. Unlike Portugal, Cyprus does not have a specific incentive-laden tax regime for retirees, but what it does have is very generous pension rules. Britons who are resident in Cyprus for tax purposes can choose to have their pension income taxed at a flat 5 per cent above €3,240 a year, or to have it taxed at the normal income tax rates – whichever works out best. (The first €19,500 of income is tax free, after which rates start at 20 per cent and rise progressively to 35 per cent on income over €60,000.) And if you take a lump sum out of your pension, you should be able to do so tax-free. Cyprus is also appealing for UK public sector workers, as it’s the only country where UK public sector pensions are taxed at local rates (rather than in the UK). Tempted by a life in the sun? 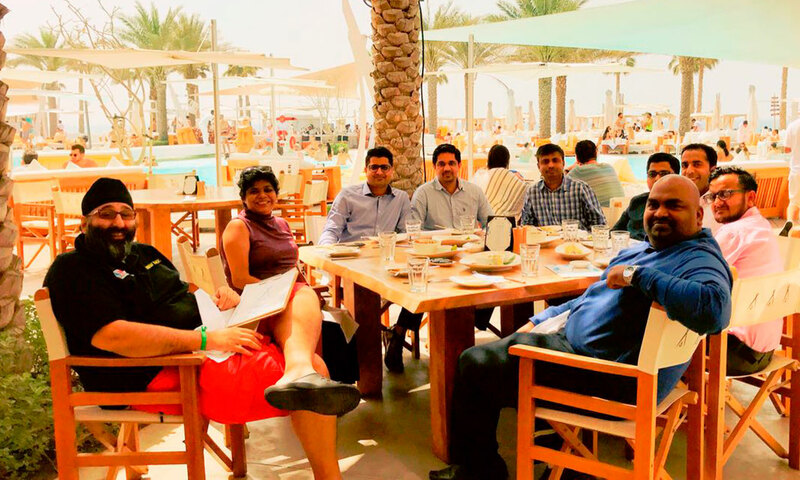 Rahul Sharma, AVP Finance of Zenises picks three of the best destinations in Europe and further for a blissful retirement. 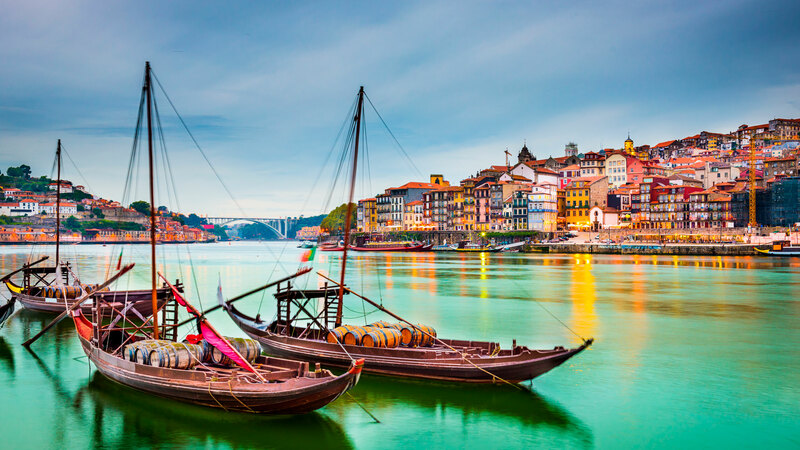 Portugal, long a favourite destination for expats, is currently having a “moment”. Hipster coffee shops around the world have discovered the delights of the pasteis de nata, while Madonna recently bought a property just outside of Lisbon. But there are more practical reasons to consider Portugal as a retirement base, the main one being that Portugal’s Non-Habitual Residency (NHR) tax regime (introduced in 2009) offers exemptions on many types of foreign-sourced income – including pension income – for your first ten years of residency in the country. This means that someone with a UK private pension, for example, could move to Portugal and conceivably withdraw their entire pension pot tax-free (an opportunity created by the recent “pension freedom” changes in the UK) over the ten-year period. To qualify, you have to: a) not have been resident in Portugal for the past five years; b) spend more than half of the year living in Portugal – so most retirees should easily fit the bill. Obviously, these rules could change at any point, and Portugal has come under pressure from certain other EU countries to change them. But for now the regime remains in place, and even if it is replaced, the worst-case scenario is that you end up paying the same level of tax while living in a country with a relatively low cost of living and great weather. What I mean here is the transfer of global power from the west to China. China is busy re-shaping the world around economics and technology and placing itself at the centre of the debate in these issues. China is not focused on exporting its politics and ideology. It prefers to build, innovate and prevail through economics. It is building its ascendance through prodigious mercantile and technological change and influence. Whilst the West is dealing is with its decaying infrastructure and political systems China is using its one party system to plan projects that can be barely fathomed in the West. Just look at the Belt and Road Initiative. Even if they achieve half of what they say this will be one of the largest projects on earth. China’s Long Term strategy coupled with its huge population means that it has a natural advantage in tech. It will lead the world in machine learning with its ambitious roadmap for AI published last year. It just has so much more information than anywhere else on earth and it has more people online (and mobile!) than anywhere else so will have much more data for the machines to learn from! It is focused on Blockchain which plays to China’s significant geopolitical advantages. And finally it will lead the world in electric vehicles. Just look at Didi alone that raised a further $4 billion to plough into AI, Electric vehicles and International Expansion. Didi today is also the world’s most valuable start up. Not only did it kick Uber out of China it also knocked it off the pedestal on the world stage by taking its title of the World’s most valuable private company. China used to be accused, rightly so, of stealing technology and building me too companies. Those days are over! China now is focusing on innovation rather than imitation! And having worked in China for nearly two decades let me tell you when they focus on something – they get it done! Anyhow I am looking at Chinese tech startups for Walpole Capital so watch this space for more interesting information! Fifteen Chinese startups reached unicorn status last year alone; effectively 30% of the world’s new billion dollar companies were created in China in 2017. While the world was focused on the Orange Muppet and Brexit, China was focused on what is most likely to prove the most significant shift of this century. China: The People’s Republic of Tech!